Ta da! I'd seen several other bloggers recommend this trick, but I hadn't tried it myself until today. It works like a dream. 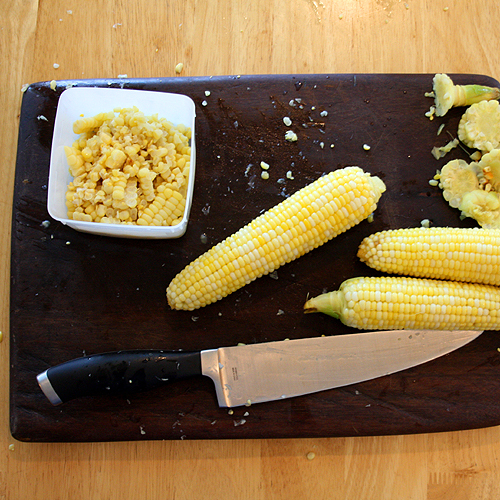 So much better than doing it on a cutting board which sprays corn juice and corn bits all over. I might go so far as to say it is the best way to cut corn off the ear. All you need is a bunt pan or angel food cake pan. Stick the top of the ear into the hole and it will stand up nicely on its own and the pan will catch *almost* all of the corn kernels as you cut them off. Love it. Have you tried this trick for cutting corn off the ear? I've never even seen this before - brilliant! 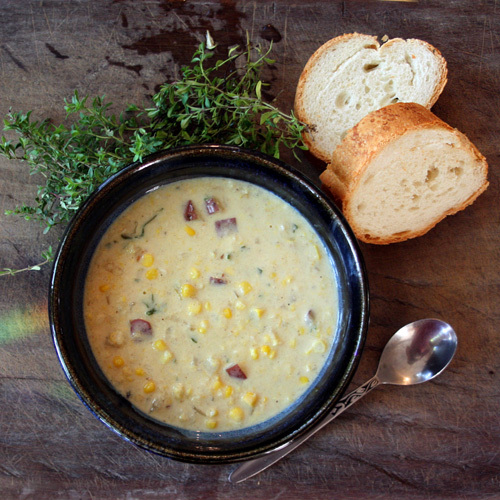 Thanks for linking up :-) Happy Mouthwatering Monday! Although a good idea agreed, I still like eating corn on the cob the old fashioned and messy way. i usually eat straight off, or cut off a raw cob for salads.... and don't make TOO much of a mess when cutting on a board. I can't believe that it is this easy! WOW! Thanks for linking it up to mommy solutions this week. I"m featuring you at 2:30 on my Facebook page. I'm one of those people who gets corn everywhere as I take it off the cob. Can't wait to try this suggestion! 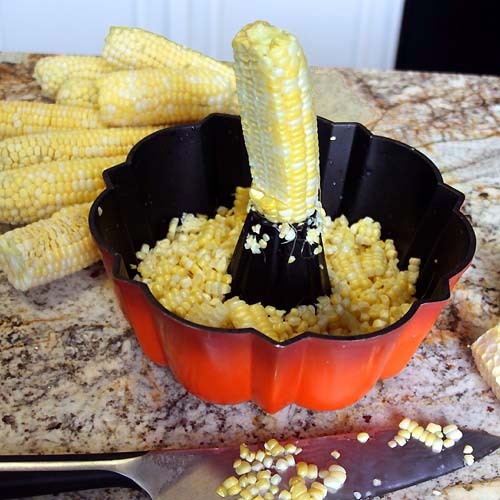 What a fabulous tip for cutting the corn off of the cob. 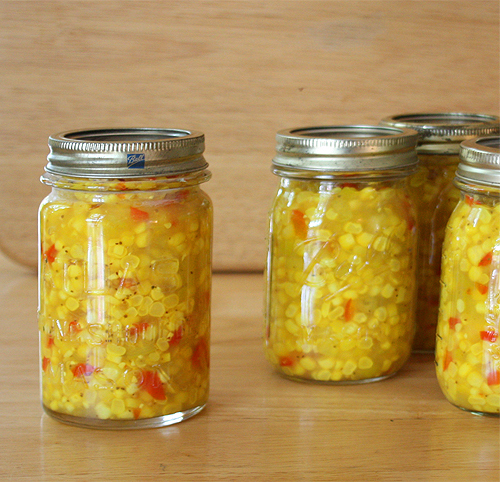 Your Corn Relish and Corn Chowder look delicious, both are some of my favorites for summer. Hope you are having a fabulous weekend and thank you so much for sharing with Full Plate Thursday. Oh, SO smart!! I'm always so thankful to have my doggie clean-up crew when I cut corn off the cob! :) Thanks for linking up to Snacktime Saturday! love this...the corn at the moment is fantastic here. I would love for you to link it up at my new blog party! and the relish looks awsome. might be making some today?!! What a wonderful idea!!!! I'm pinning!!! Thanks for sharing at Foodtastic Friday! We use an electric knife along with the bundt pan- so slick and fast-!